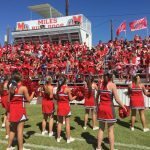 Miles Elementary School (Miles, TX). One school-wide strategy is the implementation of morning yoga. Students are led through a pose daily; each has a purpose (to develop self-awareness, slow down, manage emotions, etc.). Research shows that anxious or stressed children find it impossible to learn. Daily yoga helps create a calm child who is ready to learn. Another non-traditional approach to meeting the needs of the Miles students is the Motor Lab. This designated space is equipped with a mini-trampoline, balance beam, rope, and other equipment. Each station addresses a specific behavior or sensory need. Hyperactive students are frequently sent to the lab to prepare their minds and body for the day.